Embalming Fluid, despite its name, is actually quite pleasant. It’s a nice, green summer scent that’s got a good bit of refreshing bite to it that makes it perfect for warm weather. The heart of the fragrance is one of my favorite notes; green tea. In Bottle: Green tea and lemon. 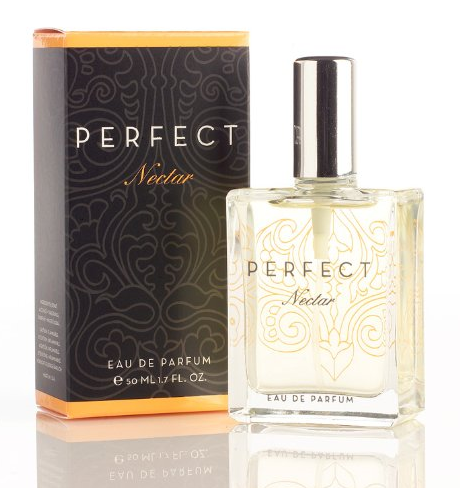 Embalming Fluid isn’t high on the complexity meter but it’s a lovely mixture of two notes that go very well together when I smell this in the bottle. Applied: Green tea amps up immediately and remains with me as the lemon comes rushing in afterward. There’s a slight sweetness to this too that helps soothe the very sharp lemon and tea scents. It mellows them out a little as the fragrance approaches mid-stage where, honestly, it does very little changing. I could be happy wearing this though and so would anyone else if they were a green tea note fan. The dry down gets a bit more interesting as the muskiness comes up for the final curtain but Embalming Fluid is a pretty easy and simple fragrance to love. Extra: Embalming Fluid is one of those misunderstood fragrances with a name that could turn people away. 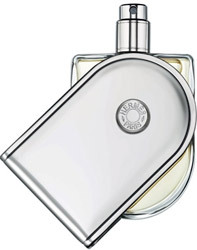 Give it a chance though if you’re looking for a light, green, fresh summery scent. Design: Bottled the same way other general catalogs scents from Black Phoenix Alchemy Lab are. Notes: White musk, green tea, aloe, lemon. The green tea note in Embalming Fluid is quite good. It’s very reminiscent of Creative Universe’s Te, except much simpler and lasts quite a bit longer. 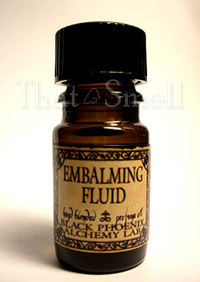 Reviewed in This Post: Embalming Fluid, 2009, 5ml Bottle.